NASA’s Fermi telescope, which detects gamma rays, sent out the first alarm. 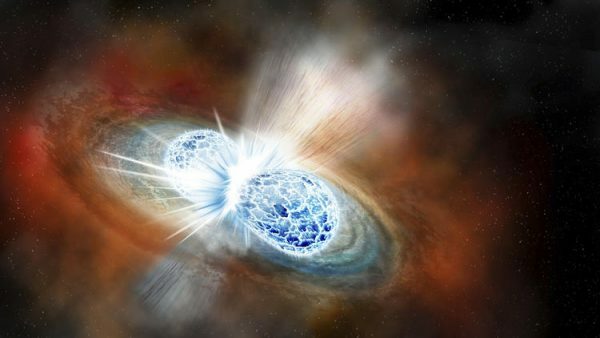 Then, 1.7 seconds later, gravity wave detectors in Louisiana and Washington state that are a part of the LIGO Laboratory , whose founders won a Nobel Prize earlier this month, detected the crash. It issued a worldwide alert to focus telescopes on what became the most well-observed astronomical event in history.